Almost all of us have some type of survival tool that we need to sharpen time and again. Given that you will use your survival tool in a survival situation virtually multiple times every day, sharpening it correctly is key to making sure it can do what you need it to do when you need it to do it! Luckily, it is not as difficult as it can seem; in fact, if you have the right routine, it is downright easy! 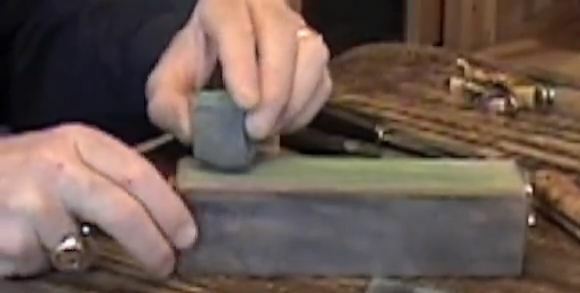 In this case, a man on the video shows us how to correctly sharpen a blade. After all, sharpening a blade correctly is a matter of having the right materials and utilizing the right technique. The video on the next page shows you what materials you need to ensure you can do the job right and then how to do it!